Relationship=6th cousin 2 times removed of David Kipp Conover Jr.
Relationship=7th great-grandson of Wolphert Gerretse Van Kouwenhoven. George Samuel Wilson was born circa 1836 at New York. He was the son of Samuel Wilson and Thankful Cornelia Enos. George married Margaret A. Connaughty on 15-Dec-1859. George Samuel Wilson died on 31-Oct-1888 at Naples, Ontario County, New York. Margaret married George Samuel Wilson, son of Samuel Wilson and Thankful Cornelia Enos, on 15-Dec-1859. Margaret A. Connaughty resided at at Waterford, Saratoga County, New York. She resided at at Naples, Ontario County, New York. Relationship=7th cousin 1 time removed of David Kipp Conover Jr.
Relationship=8th great-grandson of Wolphert Gerretse Van Kouwenhoven. George Hamilton Wilson was born on 25-Jul-1868 at Buffalo, Erie County, New York. He was the son of George Samuel Wilson and Margaret A. Connaughty. George Hamilton Wilson was employed by the Erie County Savings Bank. He resided at at Buffalo, Erie County, New York. Relationship=7th great-granddaughter of Wolphert Gerretse Van Kouwenhoven. Cordelia Wilson was born circa 1838 at New York. She was the daughter of Samuel Wilson and Thankful Cornelia Enos. Cordelia Wilson resided at at Buffalo, Erie County, New York. Mary Matilda Wilson was born circa 1841 at New York. She was the daughter of Samuel Wilson and Thankful Cornelia Enos. In the census on 1-Jun-1880 Mary Matilda Wilson was named Maria M. Wilson. She resided at at Buffalo, Erie County, New York. Sarah Enos Wilson was the daughter of Samuel Wilson and Thankful Cornelia Enos. Joseph B. Wilson was the son of Samuel Wilson and Thankful Cornelia Enos. Josephine E. Wilson was the daughter of Samuel Wilson and Thankful Cornelia Enos. Janette Wilson was born circa 1834 at New York. She was the daughter of Samuel Wilson and Thankful Cornelia Enos. Relationship=8th cousin of David Kipp Conover Jr.
Relationship=9th great-grandson of Wolphert Gerretse Van Kouwenhoven. Thomas Searle Deering was born on 14-Mar-1888 at San Francisco, San Francisco County, California. He was born on 15-Mar-1888. He was the son of Thomas Patrick Deering and Katherine Cordelia Wilson. Thomas married Mae Theodosia Cutlar on 3-Dec-1912 at San Francisco, San Francisco County, County Cavan. Thomas Searle Deering died on 29-Jul-1969 at Sarastota, Sarasota County, Florida, at age 81. Relationship=9th great-granddaughter of Wolphert Gerretse Van Kouwenhoven. Grace Wilson Deering was born circa Mar-1889 at California. She was the daughter of Thomas Patrick Deering and Katherine Cordelia Wilson. Grace married Frank N. Nelson. Frank N. Nelson was born circa 1890 at California. Frank married Grace Wilson Deering, daughter of Thomas Patrick Deering and Katherine Cordelia Wilson. Mae Theodosia Cutlar was born on 24-Jul-1889 at San Francisco, San Francisco County, California. Mae married Thomas Searle Deering, son of Thomas Patrick Deering and Katherine Cordelia Wilson, on 3-Dec-1912 at San Francisco, San Francisco County, County Cavan. Mae Theodosia Cutlar died on 15-Aug-1988 at Sarasota County, Florida, at age 99. She was also known as Theodosia May Cutlar. She was also known as Theodosia Cutlar. Relationship=8th great-granddaughter of Wolphert Gerretse Van Kouwenhoven. Lizzie M. Wilson was born circa 1870 at California. She was the daughter of James Hepburn Wilson and Elizabeth Trickey. Rev. Peter McEnally died at Williamsport, Lycoming County, Pennsylvania; while attending a confrence. Peter married Matilda Wilson, daughter of Matthew Wilson and Janet Hepburn. In 1831 Rev. Peter McEnally was the pastor, who labored part of the year, but finally became discouraged with the members because they neither attended the means of grace nor supported the gospel; he became disgusted and burned the class-book and bade them all good-bye. Rev. Peter MCENALLY, died on the 19th inst., in Clearfield Co. He was of the Baltimore Conference, in the 54th year of his age, leaving a wife and six children. Elizabeth McEnally was the daughter of Rev. Peter McEnally and Matilda Wilson. Elizabeth married (Unknown) Patton; several children. Elizabeth McEnally resided at at Chicago, Cook County, Illinois. (Unknown) married Elizabeth McEnally, daughter of Rev. Peter McEnally and Matilda Wilson; several children. Mary McEnally was the daughter of Rev. Peter McEnally and Matilda Wilson. Annie McEnally was the daughter of Rev. Peter McEnally and Matilda Wilson. Wilson McEnally was the son of Rev. Peter McEnally and Matilda Wilson. Sarah McEnally was the daughter of Rev. Peter McEnally and Matilda Wilson. Sarah married Dr. Joseph Litz. Sarah McEnally resided at at DuBois, Clearfield County, Pennsylvania. Joseph married Sarah McEnally, daughter of Rev. Peter McEnally and Matilda Wilson. James McEnally was the son of Rev. Peter McEnally and Matilda Wilson. Manning McEnally was the son of Rev. Peter McEnally and Matilda Wilson. Josiah married Matilda Wilson, daughter of Matthew Wilson and Janet Hepburn. Lucetta Heinen was born on 6-Aug-1814 at Pennsylvania. She was the daughter of Dr. Henry Heinen and Elizabeth Etzell. Lucetta married Robert Wilson, son of Matthew Wilson and Janet Hepburn, circa 27-May-1834; 7 children. Lucetta Heinen died on 2-Sep-1853 at Milton, Northumberland County, Pennsylvania, at age 39. Mrs. Rebecca Overpeck was born circa 1820 at Pennsylvania. Rebecca married Robert Wilson, son of Matthew Wilson and Janet Hepburn, circa 1863. William Etzell Wilson was born on 9-Oct-1837 at Milton, Northumberland County, Pennsylvania. He was the son of Robert Wilson and Lucetta Heinen. William married Mary Haines Foreman, daughter of Peter Foreman and Elizabeth Vicker. William Etzell Wilson died on 15-Jul-1882 at Milton, Northumberland County, Pennsylvania, at age 44. Henry Hepburn Wilson was born circa 1843 at Pennsylvania. He was the son of Robert Wilson and Lucetta Heinen. Henry Hepburn Wilson died on 30-Jul-1864; in battle before Petersburg, VA. In the census on 16-Aug-1850 Henry Hepburn Wilson was named Hepburn Wilson. Reuben Frederick Wilson was born circa 1852 at Pennsylvania. He was the son of Robert Wilson and Lucetta Heinen. Reuben married Marian Reid on 20-Dec-1873 at Milton, Pennsylvania. Reuben Frederick Wilson died on 20-Mar-1892 at Denver, Denver County, Colorado. Marian married Reuben Frederick Wilson, son of Robert Wilson and Lucetta Heinen, on 20-Dec-1873 at Milton, Pennsylvania. Robert Marshall Wilson was the son of Reuben Frederick Wilson and Marian Reid. William Walter Wilson was the son of Reuben Frederick Wilson and Marian Reid. Mary Wilson was born circa 1849 at Pennsylvania. She was the daughter of Robert Wilson and Lucetta Heinen. Elizabeth married Dr. Henry Heinen. Mary Haines Foreman was born on 9-May-1845 at Milton, Northumberland County, Pennsylvania. She was the daughter of Peter Foreman and Elizabeth Vicker. Mary married William Etzell Wilson, son of Robert Wilson and Lucetta Heinen. Mary Haines Foreman died on 15-Mar-1921 at age 75. Rebecca Wilson was born on 30-Aug-1879 at Milton, Northumberland County, Pennsylvania. She was the daughter of William Etzell Wilson and Mary Haines Foreman. Rebecca married Delroy Parson Swisher, son of Parvin Swisher and Harriett Runyan, on 26-Oct-1894. Rebecca Wilson died on 3-Apr-1970 at age 90. Delroy Parson Swisher was born on 22-Jul-1879 at Millville, Columbia County, Pennsylvania. He was the son of Parvin Swisher and Harriett Runyan. Delroy married Rebecca Wilson, daughter of William Etzell Wilson and Mary Haines Foreman, on 26-Oct-1894. Earl C. Swisher was born on 23-Apr-1895 at Pennsylvania. He was the son of Delroy Parson Swisher and Rebecca Wilson. Earl married (Unknown) (Unknown). (Unknown) married Earl C. Swisher, son of Delroy Parson Swisher and Rebecca Wilson. Relationship=8th cousin 1 time removed of David Kipp Conover Jr.
Relationship=10th great-granddaughter of Wolphert Gerretse Van Kouwenhoven. Jean Swisher was the daughter of Earl C. Swisher and (Unknown) (Unknown). Elizabeth May Swisher was born on 31-May-1909 at Pennsylvania. She was the daughter of Delroy Parson Swisher and Rebecca Wilson. Elizabeth married Donald Baker. Elizabeth May Swisher died on 26-Jan-1988 at age 78. Donald Baker was born on 31-Oct-1910. Donald married Elizabeth May Swisher, daughter of Delroy Parson Swisher and Rebecca Wilson. Donald Baker died on 19-Nov-1965 at age 55. Donald Moller died on 21-Jan-1998. Charles Keneth Swisher was born on 14-Oct-1910. He was the son of Delroy Parson Swisher and Rebecca Wilson. Charles married Pauline Bly. Charles Keneth Swisher died on 14-Oct-1970 at age 60. Pauline Bly was born on 11-Sep-1908. Pauline married Charles Keneth Swisher, son of Delroy Parson Swisher and Rebecca Wilson. Pauline Bly died on 24-Jul-1996 at age 87. Edith Ilene Swisher was born on 12-Feb-1912 at Pennsylvania. She was the daughter of Delroy Parson Swisher and Rebecca Wilson. Edith Ilene Swisher was born on 13-Feb-1913 at Pennsylvania. Edith married Daniel D. Aunkst, son of David Aunkst. Edith Ilene Swisher died on 9-Aug-2003 her last known address was at Watsontown, Pennsylvania, according to the Social Security Death Index. Daniel D. Aunkst was born on 27-Jan-1909. He was the son of David Aunkst. Daniel married Edith Ilene Swisher, daughter of Delroy Parson Swisher and Rebecca Wilson. Daniel D. Aunkst died on 27-Aug-1995 his last known address was at Watsontown, Northumberland County, Pennsylvania, according to the Social Security Death Index. William Wilson was born circa 1865 at Pennsylvania. He was the son of William Etzell Wilson and Mary Haines Foreman. Robert Wilson was born circa 1869 at Pennsylvania. He was the son of William Etzell Wilson and Mary Haines Foreman. Winfield? Wilson was born circa 1875 at Pennsylvania. He was the son of William Etzell Wilson and Mary Haines Foreman. Preston Wilson was born circa 1876 at Pennsylvania. He was the son of William Etzell Wilson and Mary Haines Foreman. Grace Wilson was born circa 1878 at Pennsylvania. She was the daughter of William Etzell Wilson and Mary Haines Foreman. Relationship=5th cousin 3 times removed of David Kipp Conover Jr.
Relationship=6th great-grandson of Wolphert Gerretse Van Kouwenhoven. Hepburn McClure was born on 24-Nov-1809. He was the son of Robert McClure Esquire and Mary Hepburn. Hepburn McClure died circa Mar-1890. He held the position of prothonotary of Lycoming County between 1842 and 1845. Edward C. McClure was born on 25-Dec-1825. He was the son of Robert McClure Esquire and Mary Hepburn. Edward married Louisa Harriet Hepburn, daughter of Samuel Hepburn and Ann Clay, on 25-Jan-1855; by her brother Rev. Slator Clay Hepburn. Edward C. McClure died on 17-Jan-1890 at age 64. He resided at at Lock Haven, Clinton County, Pennsylvania, in 1867. He was employed by the banking house of Moore, Simpson and Company. In the census on 3-Jun-1880 Edward C. McClure was named Edwin C. McClure. Louisa Harriet Hepburn was born on 7-Mar-1828 at Milton, Northumberland County, Pennsylvania. She was the daughter of Samuel Hepburn and Ann Clay. Louisa married Edward C. McClure, son of Robert McClure Esquire and Mary Hepburn, on 25-Jan-1855; by her brother Rev. Slator Clay Hepburn. Mary McClure was the daughter of Edward C. McClure and Louisa Harriet Hepburn. Mary married Samuel Lloyd. Samuel married Mary McClure, daughter of Edward C. McClure and Louisa Harriet Hepburn. Louisa McClure was the daughter of Edward C. McClure and Louisa Harriet Hepburn. Louisa married Elias Lowe. Elias married Louisa McClure, daughter of Edward C. McClure and Louisa Harriet Hepburn. William McClure was the son of Robert McClure Esquire and Mary Hepburn. Robert McClure was the son of Robert McClure Esquire and Mary Hepburn. Relationship=6th great-granddaughter of Wolphert Gerretse Van Kouwenhoven. Clara Hepburn was born in 1824. She was the daughter of Dr. James Hepburn M.D. and Rebecca Cowden. Clara Hepburn died in 1894. William Henry Hepburn was the son of Dr. James Hepburn M.D. and Rebecca Cowden. Sarah Hepburn was the daughter of Dr. James Hepburn M.D. and Rebecca Cowden. Annie C. Hepburn was born in 1834. She was the daughter of Dr. James Hepburn M.D. and Rebecca Cowden. Annie married Frederick Lovejoy, son of Robert Henry Lovejoy and Betsey Curtis, on 24-Sep-1856 at Elmira, Chemung County, New York; no issue. Annie C. Hepburn died on 13-Dec-1896 at New York. Frederick Lovejoy was born on 1-May-1834 at Owego, Tioga County, New York. He was the son of Robert Henry Lovejoy and Betsey Curtis. Frederick married Annie C. Hepburn, daughter of Dr. James Hepburn M.D. and Rebecca Cowden, on 24-Sep-1856 at Elmira, Chemung County, New York; no issue. Frederick Lovejoy died on 3-Nov-1893 at Gilsey House, New York, at age 59; from the effects of paralysis. He resided at at Philadelphia, Philadelphia County, Pennsylvania, in 1857. In the census on 8-Jun-1880 Frederick Lovejoy was named Fred Lovejoy. Mary H. Hepburn was born in 1837. She was the daughter of Dr. James Hepburn M.D. and Rebecca Cowden. Mary married Franklin Reading on 14-May-1861 at Williamsport, Lycoming County, Pennsylvania. Mary H. Hepburn resided at at Washington, District of Columbia. Franklin married Mary H. Hepburn, daughter of Dr. James Hepburn M.D. and Rebecca Cowden, on 14-May-1861 at Williamsport, Lycoming County, Pennsylvania. Franklin Reading died on 31-May-1891. Julia Baldwin Hepburn was born on 2-Dec-1846 at Elmira, Chemung County, Pennsylvania. She was the daughter of Dr. James Hepburn M.D. and Julia Baldwin. Julia Baldwin Hepburn died on 2-Aug-1848 at near, West Point, Orange County, New York, at age 1. 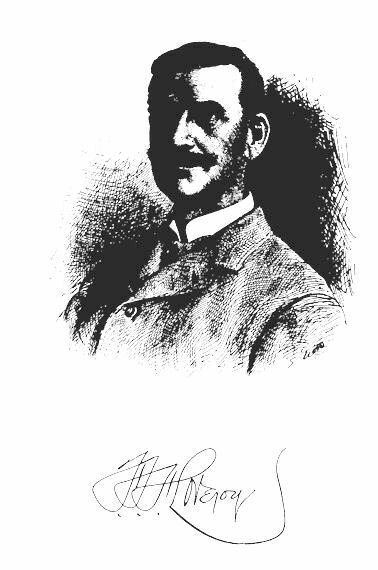 John M. Diven was born on 24-Apr-1852 at Elmira, Chemung County, New York. He was the son of Alexander Diven and Amanda Malvina Beer. John married Susan H. Hepburn, daughter of Dr. James Hepburn M.D. and Julia Baldwin, on 6-Nov-1878 at Elmira, Chemung County, New York. John M. Diven died on 4-Jan-1925 at Troy, Rensselaer County, New York, at age 72. Julia Diven was born on 19-Dec-1879 at Elmira, Chemung County, New York. She was the daughter of John M. Diven and Susan H. Hepburn. Julia Diven died on 11-Jul-1881 at age 1. Alice Diven was born on 2-May-1882 at Watkins, New York. She was the daughter of John M. Diven and Susan H. Hepburn. May Diven was born on 23-Aug-1885 at Elmira, Chemung County, New York. She was the daughter of John M. Diven and Susan H. Hepburn. May Diven died on 7-Jun-1887 at age 1. John M. Diven Jr. was born on 11-May-1890 at Elmira, Chemung County, New York. He was the son of John M. Diven and Susan H. Hepburn. Alexander married Amanda Malvina Beer. William Lawrence was born circa May-1840 at New Jersey. He was the son of Catherine (Unknown). William married Sarah Jane Conover, daughter of Joseph Conover and Sarah Jane Hoagland, on 1-Feb-1866 at Hillsborough Twp., Somerset County, New York. Elizabeth Lawrence was born on 3-May-1867 at New Jersey. She was the daughter of William Lawrence and Sarah Jane Conover. Elizabeth married Garrett A. Quick, son of John Harlingen Quick and Mary Hannah Durling, on 10-Feb-1886. Elizabeth Lawrence died on 5-Apr-1916 at age 48. She was also known as Lizzie Lawrence. Joseph C. Lawrence was born circa Dec-1869 at New Jersey. He was the son of William Lawrence and Sarah Jane Conover. Charles A. Lawrence was born circa 1873 at New Jersey. He was the son of William Lawrence and Sarah Jane Conover. Ellen M. Lawrence was born circa 1876 at New Jersey. She was the daughter of William Lawrence and Sarah Jane Conover. Laura Lawrence was born circa Aug-1886 at New Jersey. She was the daughter of William Lawrence and Sarah Jane Conover. Garrett A. Quick was born on 17-Mar-1865 at Hillsborough, Somerset County, New Jersey. He was the son of John Harlingen Quick and Mary Hannah Durling. Garrett married Elizabeth Lawrence, daughter of William Lawrence and Sarah Jane Conover, on 10-Feb-1886. Garrett A. Quick died on 1-Nov-1941 at Princeton, Mercer County, New Jersey, at age 76.